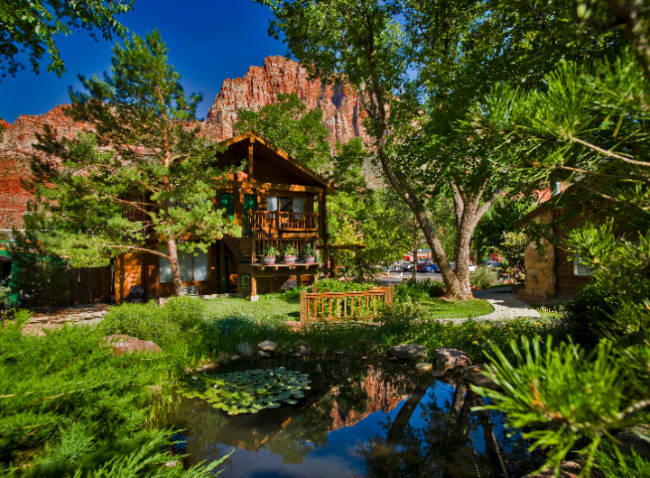 Flanigan's Inn is a three-star eco-friendly resort in Springdale, Utah, right outside of the south entrance of Zion National Park. 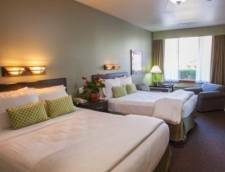 The hotel is just a short, five-minute walk to the entrance and is also conveniently located at the #3 Shuttle Stop for the Springdale's Free Shuttle service. 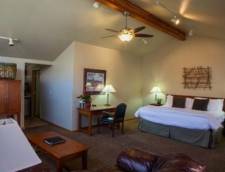 The resort has 32 rooms and guests can choose from a variety of accommodations including standard rooms, patio/deck rooms, and suites. All of the rooms including spa bathrobes, a Keurig coffee maker, flat-screen television, DVD player, internet, coffee, tea, bottled water and botanical toiletries. The hotel boasts a restaurant called the world-class Spotted Dog Cafe, an American bistro that serves breakfast and dinner using fresh local produce, hormone-free meats, and sustainably harvested fish. 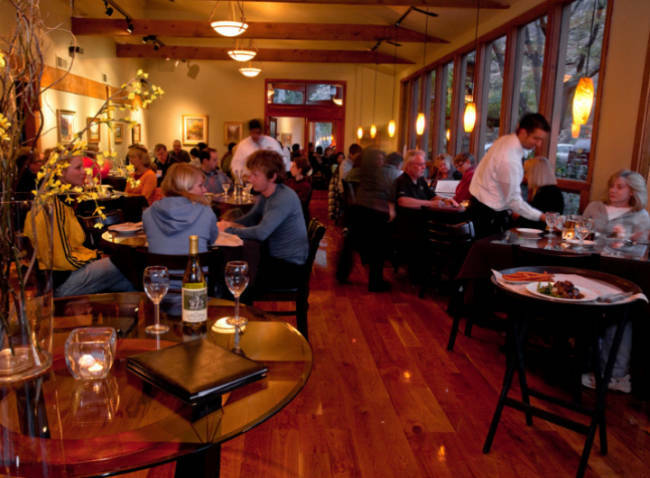 The restaurant has cozy, indoor dining rooms clad in art pieces and guests can also dine outdoors on the European-style sidewalk. 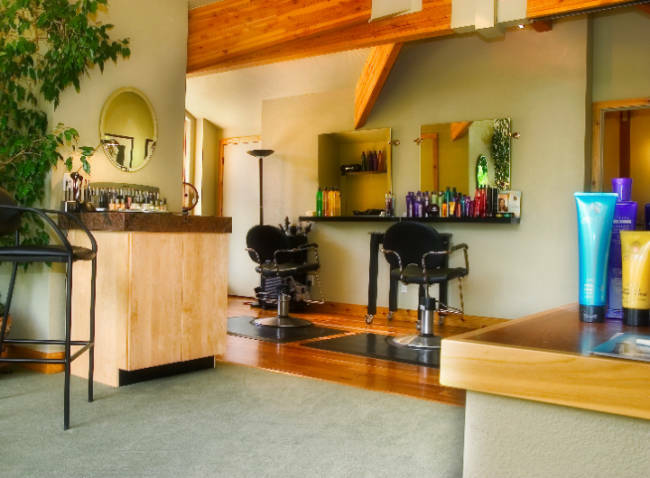 The Inn also has a luxury day spa and salon for guests to enjoy a little pampering and rejuvenation. 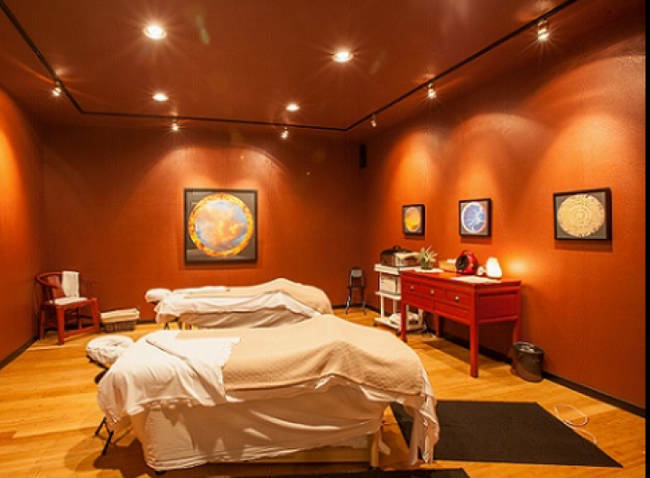 The spa has an extensive list of treatments to choose from and uses only natural organic and botanical essence products. 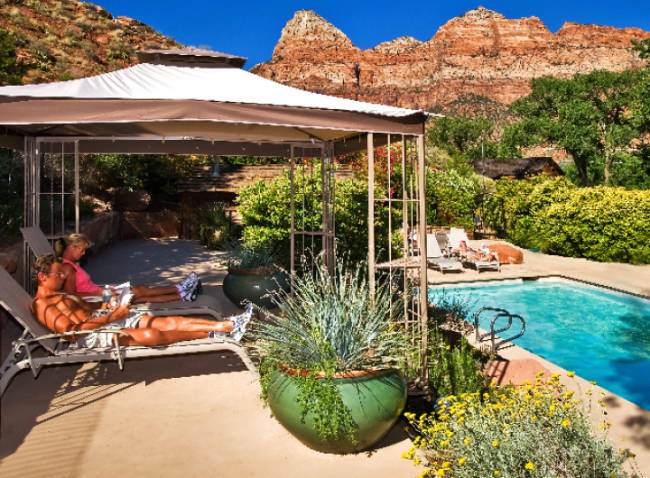 In addition to the plush spa, the boutique hotel also features mind-body-spirit classes, an outdoor pool, a spa tub, business center, and many recreational activities nearby for guests to take part in. These rooms feature one king or two queens and are roughly 350 square feet. Tastefully decorated with photographic art by Rob Hooper, these comfortable rooms are also outfitted with easy chairs, a private bathroom, and modern amenities. Roughly 25 square feet larger than the Standard Rooms, the Patio Rooms come with two queens or one king and a private bathroom. In addition to the extra footage, these rooms also come with a mini refrigerator and an individual patio (terrace) with a small table and chairs. 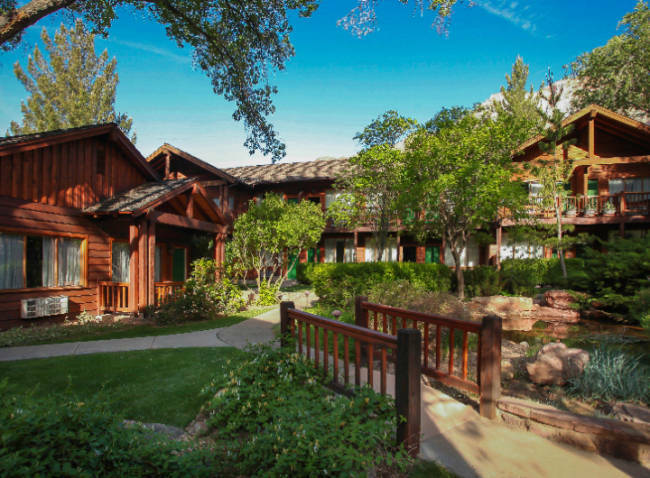 The rooms face the hotel's landscaped courtyard. The tastefully decorated Deck Rooms come with one king or two queens and are roughly 25 square feet larger than the Standard Rooms. In addition to the extra space, these rooms have a mini refrigerator and feature a semi-private deck (balcony) that overlooks resort's landscaped courtyard. Each deck has a small table and chairs. Decorated with photos by Michael Plyler, this room features a king bed, cozy fireplace, and a sitting area with an easy chair and love seat. The room has a covered entry porch with a small table and chairs. This spacious, two-room suite sleeps six and is decorated with giclee images of paintings by Jim Jones. One of the rooms is oversized and features a king bed, mini kitchenette, and a sitting area with a sofa sleeper. The second room is a separate bedroom with a queen bed, television, and DVD player. The large vanity area is accessible to both rooms and there is a private bathroom with a tub/shower combination. The suite has a covered entry porch with chairs and there is also a second entry to the porch from the separate bedroom. This two-room unit sleeps six and is adorned with signed prints of paintings by artist Anton Rasmussen. The main room has a king, a mini kitchenette, and a large sitting area with a sofa sleeper. There is a private bathroom with a tub/shower combination and a separate bedroom with a king bed. Each room has a flat screen television and DVD player. There is a covered entry porch with a table and chairs. Decorated with photographic images by artist Gary Adams, this split-level suite sleeps six people comfortably. The main level has a sitting area with a sofa sleeper and love seat, a television, DVD player and mini kitchenette. On the upper level there is a loft bedroom with a king, a private bathroom and a separate bedroom with a king. The separate bedroom also has a television and a DVD player. The entry to the suite is a covered porch with a table and chairs. This split-level suite sleeps six guests and is decorated with photographic images by artist David Pettit. The entry into the suite is a covered patio with a table and chairs. The main level has a king bed with a room divider separating the sleeping area from the sitting area. 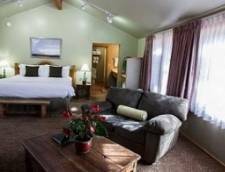 The sitting area has a flat screen television with DVD player, a mini kitchenette and a deluxe private bathroom with a soaking tub and a walk-in shower. The upper level has a private bedroom with two queens, a television, and DVD player. There is also a second bathroom on the upper level and a secluded terrace with a table and chairs. An amount equal to your first-night stay (including tax) will be charged to your card at the time of booking. Cancellations must be made by 3:00 PM, at least 48 hours prior to arrival to avoid forfeiture of your one-night deposit. Rates Policy: Rates are based on double occupancy. Each additional guest 6 years and up are charged $10.00 per night. A $1,000 cleaning fee will be charged for pets, smoking, cooking or bicycles in the room.